Ever seen henna designs and been amazed by their intricate patterns? This artistic expression stems back to the 16th century and remains to be an important, celebratory custom in cultures today. These stunning designs are now being shown in home décor and we couldn’t be more excited! 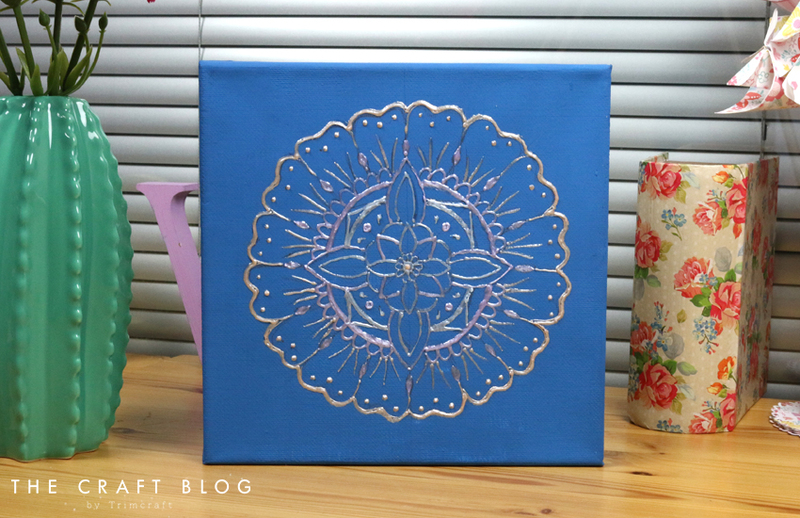 We decided to try out this wonderful style with the Dovecraft Pearl Effect glues, read on to find out how Angel has used our free template to create this fantastic canvas design. 1. Print the free template, place it to the side. Paint your canvas with your chosen DecoArt paint colour. Ensure that the canvas is completely covered, a second coat of paint may be required. Leave to dry. 2. 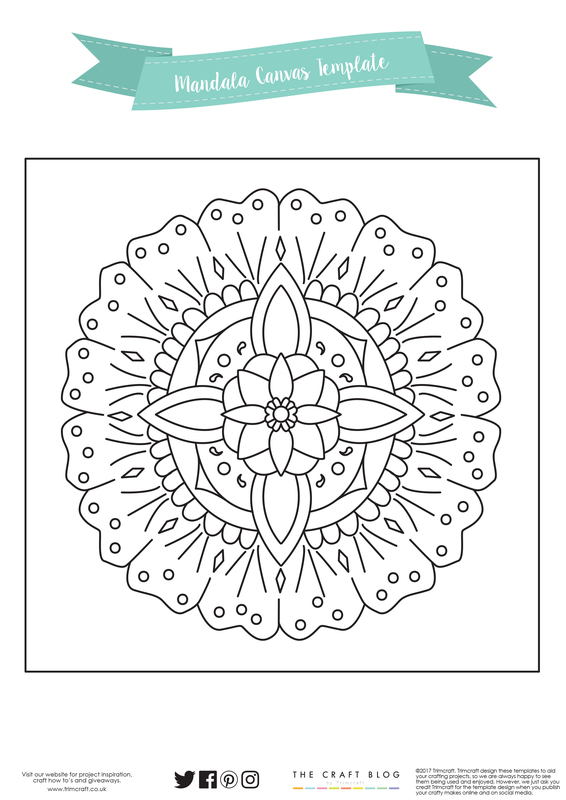 With a pencil, carefully draw out the pattern shown on the template, the printable we have given you is a guideline but you can adapt it to fit your own style. 3. Pick a selection of Dovecraft Pearl Effect glues and begin to create the patterned design. We recommend starting from the middle and working your way out. 4. If you find you’re smudging the design, leave the section to dry and come back to it later on in the day. We recommend using different colours to make your design pop! How pretty does this henna wall art look? We love the detail and it’s so achievable with the Dovecraft Pearl Effect glues! How will you use our free template?